The Glossy Ibis is a widespread species of wader. It is found in warm regions almost all over the world. They are named for the shiny, glossy plumage of adult birds. You can customize this gift! 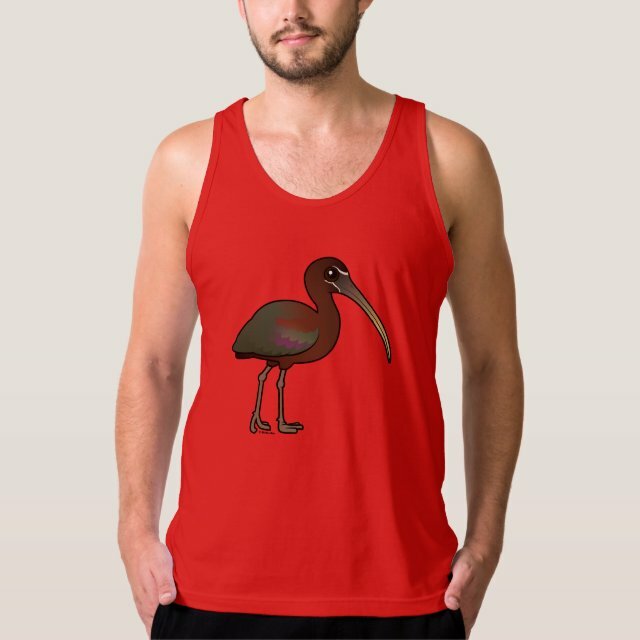 Move the ibis around, change the background color or style, add text or images -- make it your own! Express yourself and show off a cool graphic with this top-selling America Apparel tank. Made of 100% fine ringspun combed cotton, this lightweight fine jersey is exceptionally smooth and tight-knit. Great for a hot summer more... day or as a layering piece for chilly nights. Select a design from our marketplace or customize it to make it your own!